The DIY SEO Software for Small Businesses simplifying content marketing. Created by Irayo Technologies Pvt. Ltd. Content Optimization: Suggests focus and related keywords by reading the content you have written and the user intent you want to target. 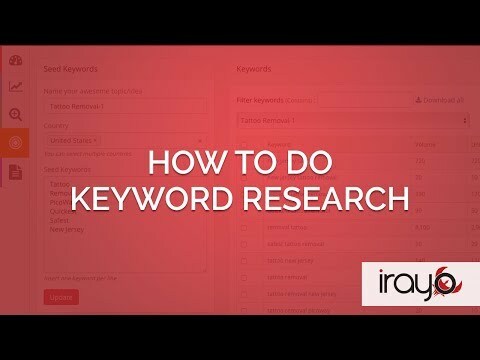 Irayo uses natural language processing algorithms to understand your content and gives keyword suggestion based on the search intent you want to target with your content. Performance Tracking: You can easily integrate your search console account with Irayo. Once integrated, Irayo saves your previous data (more than 90 days data) for comprehensive performance analysis. Filters allow you to break this data down to focus on what matters to you the most. Site Analysis: Gives you a low-down of on-page SEO issues on your domain and how to fix them. The tool is available for $0 per month (free forever); $29 per month (small business); and $99 per month (agency). Irayo was added by deepakbisht in Nov 2017 and the latest update was made in Nov 2017. The list of alternatives was updated Jan 2019 There is a history of all activites on Irayo in our Activity Log. It's possible to update the information on Irayo or report it as discontinued, duplicated or spam. Alternatives to Irayo for Web, Windows, Mac, Linux, Chrome and more. Filter by license to discover only free or Open Source alternatives. This list contains a total of 12 apps similar to Irayo. No reviews yet for Irayo, want to be first? Maybe you want to be the first to submit a comment about Irayo? Just click the button up to your right!